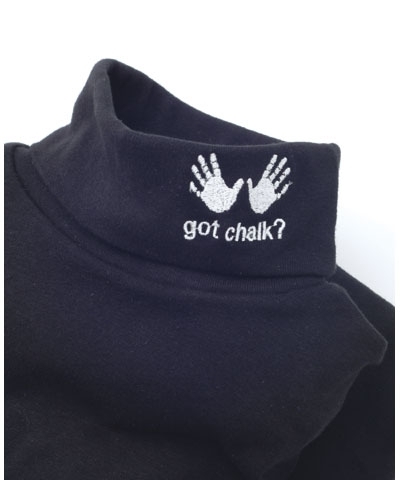 Got Chalk Turtle Neck. This turtleneck is made from super soft baby rib cottom fabric. The 5-1/2" double fabric neck features an embroidered gymnastic logo. Our girly turtleneck is a great addition to your wardrobe.